WICHITA, Kan. – The National Baseball Congress (NBC) World Series championship game can be seen in homes across the nation next week. The final game of the tournament, scheduled for Saturday, August 13, at 7 p.m. CST, can be viewed live on ESPNU, and will also be available on ESPN3 via the WatchESPN app. Visit Wichita and the National Baseball Congress have teamed up to produce and air the championships so that people across the nation can share in the excitement of this 82-year tradition held in Wichita. For the first time in tournament history, a team comprised of former major league players will be taking the field. Roger Clemens, Adam LaRoche, Nate Robertson and more will be competing in the NBC World Series as "The Kansas Stars." The Stars are scheduled to play at 9:30 p.m. on Saturday, Aug. 6; 7 p.m. on Aug. 8; and 7 p.m. on Aug. 10. They could play more games if they advance out of pool play. See the full roster here. "We are thrilled to host these former MLB stars in the NBC World Series," said Kevin Jenks, tournament director. "Many got their start here at this stadium so to see them come back and play in the tournament is exciting. They, like every other team here, though, have to compete to get to that final game, which will be aired nationwide. We can&apos;t wait to see them take the field this weekend." Should The Kansas Stars take the national trophy, they will donate the prize money to charity. Lawrence-Dumont Stadium, a staple along the Arkansas River in downtown Wichita, Kansas, is named after Hap and Charles S. Lawrence, Wichita’s mayor when the stadium was built, and still hosts the NBC World Series. It is also home to the Wichita Wingnuts baseball team of the American Association of Independent Baseball. The tournament began Friday, July 29, at Lawrence-Dumont Stadium in downtown Wichita and runs through the championships on Saturday, Aug. 13. 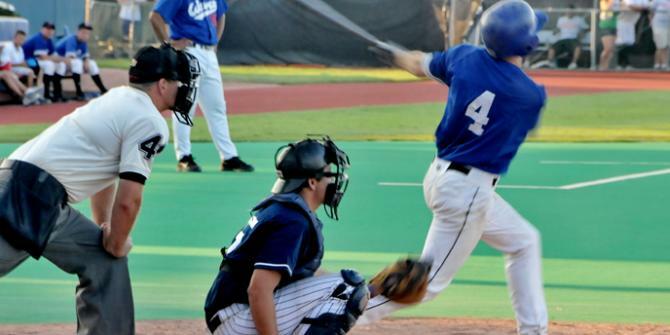 Thirty teams of mostly college-age and amateur players from across the country to compete, along with the former MLB stars this year, for a national championship. Tickets for the NBC World Series are on sale now but going fast; most pool play games featuring The Kansas Stars are standing room only, but to see what&apos;s available and purchase tickets, click here.